The team is proud to announce the release of Linux Mint 17.3 “Rosa” MATE Edition. 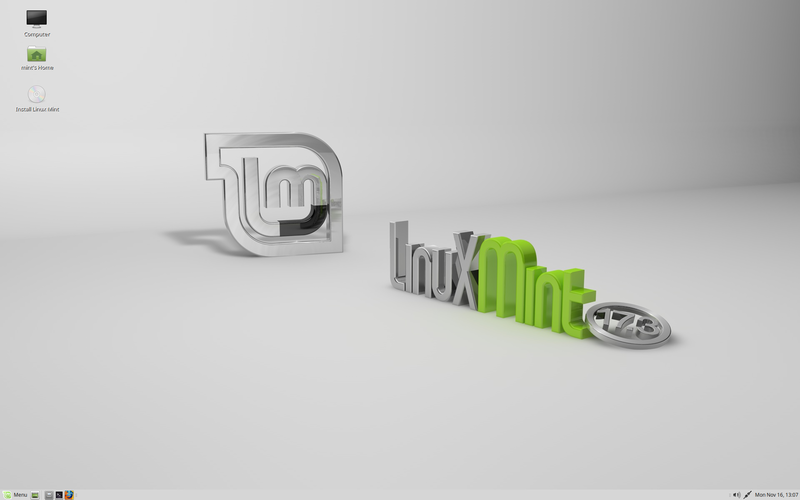 Linux Mint 17.3 is a long term support release which will be supported until 2019. It comes with updated software and brings refinements and many new features to make your desktop even more comfortable to use. “What’s new in Linux Mint 17.3 MATE“. To upgrade from Linux Mint 17, 17.1 or 17.2, please wait for a few days while we release a new version of the Update Manager to you. In the meantime, you do not need to download or to reinstall anything. We’ll make announcements next week when this is ready. Next Next post: Linux Mint 17.3 “Rosa” Cinnamon released! Thanks you Linux Mint Team! I’ll try it, next week, when the update path becomes available. I am currently on 17.2, and I would rather not re-install. Will there be a way to remove the on-screen keyboard from the logon screen in 17.3? Suggest that you move the “Torrent download” section above the “Direct download” sections. Maybe the “Signatures” too. Still running the Beta and no updates are showing. Does this mean there have been no updates issued? At any rate Linux Mint 17.3 MATE is running beautifully in a Parallels Desktop virtual environment complete with the full Compiz experience! Mint 17.3 mate x64 running like a champ on Dell E5500. Full compiz + cube and all that working good. 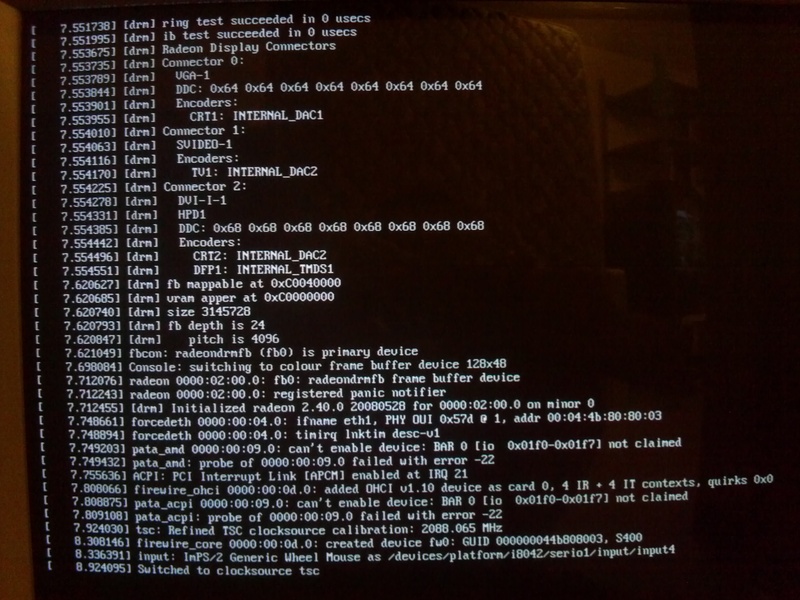 However, still had to dig up a wired connection to get the Broadcom wireless working(BCM 4312). 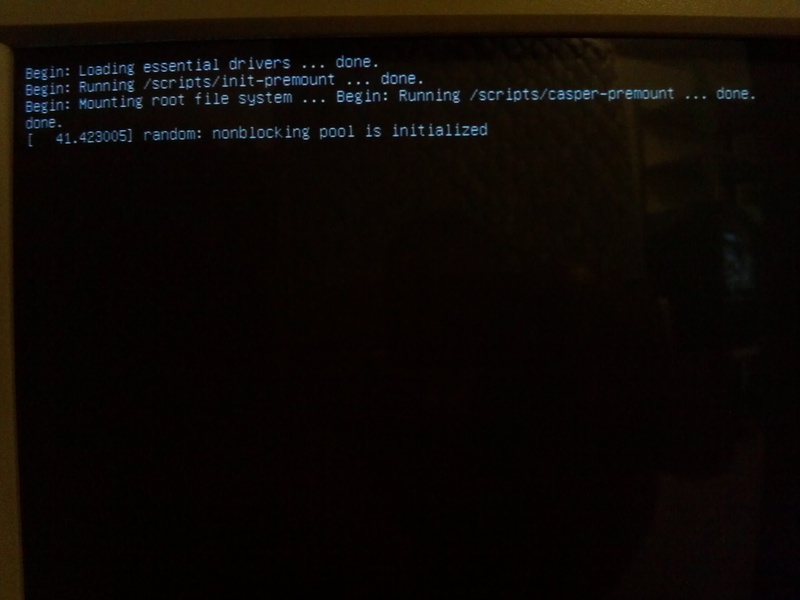 Used the MInt driver tool to find the driver and installed the b43 installer(not legacy) and it worked like a champ. Will be seeding indefinitely!! Hope ya get a fast download!! It seems only yesterday when last year I sat at my newly built PC ready to install Mint 17.1 on it. That very same installation is still going solid to this day. Thank you Clem and the rest of the Mint team for this update and happy holidays. one small bug is in mate 17.3 64bit on intel+nvidia laptop. set window manager to marco+compton. next try to set second monitor as primary – it`s not possible. Is the production code the same as the Beta? Edit by Clem: hi Mike, sorry I don’t understand your question.. I have experienced one small bug now in mate 17.3 64bit, after reading my email in thunderbird and then closing the program, and then starting firefox, a box pops up to say there is already a version of thunderbird running and I need to close it. Of course I already have closed it, and after closing the pop up box everything is fine. Still it is an annoyance and has happened three (3) diferent times. A release feed is added here for Linux Mint 17.3 ‘Rosa’ MATE Edition. Excellent! Will give it a go ASAP. Thanks dev team! Cant get to the download page via mainpage, too popular?! Downloading from torrent (and will seed) now. Trying MATE again as keeps getting better. Very happy on 17.2 Xfce for main machine,but awaiting 17.3 news, soon I hope. A lot of people are thankful to you. I’m sure. Amazing work. Cheers to Clem and the team. I love MATE. Just installed 17.3 Mate 64-bit. But there is no option “openbox+compton” in the window managers. There is no “openbox” at all. Should I apt install “openbox”? Edit to my previous post : Yes. ‘sudo apt-get install openbox’ to be done for ‘openbox+compton’ option. It is in the ‘help’. Great news! Thank you guys. It looks like a very solid release. 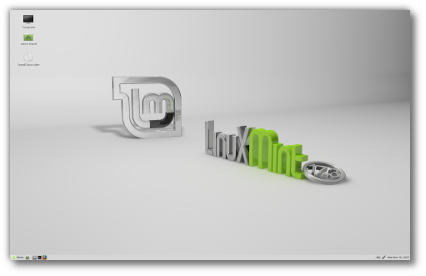 Linux Mint rocks! What did you do with the Driver Manager in Control Center? Edit by Clem: Why would you open it multiple times? It’s very important for it to update the cache, it’s the only way it can guarantee it’s accessing the latest drivers. Say you’ve got an NVIDIA GPU, today we’re looking at drivers v 352, 3 months from now it might be a newer version. It could check connectivity before updating the cache, I agree. But if you compare if with past versions, where the cache wasn’t updated, this is a huge and necessary improvement, it fixes a lot of issues out of the box. Help for the Update Manager does not match the reality of the program. Specifically, the screenshots are obsolete. Also, since the “Update Method” tab was replaced with the “Options” tab, some of those descriptions are no longer correct. Running live session from USB flash drive – seems a bug in mintMenu>preferences>plugins tab>tweak border or opacity settings and the prefs window freezes, requiring logout/login or sometimes opening/closing mintMenu to be able to close the “broken” prefs window. Either fresh boot or after updating system via Update Manager. Otherwise runs fast, efficient and beautiful! Whoops… 32 bit for above ^^^. I tried the 32 bit version of the Mate release of LM 17.3 in a virtual machine. I’m so disappointed that audio sink a2dp for bluez / pulseaudio still doesn’t work out of the box without having to use a work around. Come on guys it can’t be that hard to fix. Edit by Clem: wine from the repositories or from a PPA? Can you give us more info as to which wine you’re trying to install? how you’re doing it? and what errors do you see? Sorry, having to revert to 17.2. Libreoffice Impress presentations containing sound files are slow to load and the slides with sound files take 10 seconds to appear on the screen during presentation. Same presentations fine on fresh 17.2 install, which I will not be updating. Thank you for 17.2 , though. Thanks to Clem and team. I have noticed an issue that I mentioned in this forum for 17.2 is still apparent. When doing a search using the “Search folders and documents by name” button in Caja, the text beneath folders is invisible. It is then necessary to close Caja and reopen to read the text. @Col: The problem with Caja search appears to be only with the Compact and Icon views; you could use the List view to bypass the problem. Also, it seems as though changing the background color to something like Lemon or Sea Foam is also a work-around. Awesome release! Thank you very much!! As I discovered twice now that purging libreoffice from LM17.3 removes the Mint-X themes. thus the desktop reverts back to the ugly mate theme. I don’t use libreoffice. How do I get libreoffice off the system without losing Mint-X and Mint themes? Edit by Clem: Don’t remove libreoffice-style-mint. Waiting for the update from Update Manager. Thanks guys!!! Thanks for great work Mint! Is 17.3 KDE edition in works? I suggest you use the Main Menu tool in Preferences, uncheck the boxes for the things you don’t use, and call it done. there are many other things woven into the system, many you will never use. just leave it alone. there is still lots of printing issues as same in mint 17.2 , no major improvement. When I first tried to do a fresh install of Rosa encountered “Fatal error” bootloader not installed’ This was on a AMD M2N2sli w/3.2 840 processor and a Nvidia Geforce 730 GPU onto a Samsung 840 pro ssd. None of my usual tricks seemed to work so I removed the ssd and put it into an intel Dell and it installed like a charm. Put the ssd back into the AMD rig and it also started w/out issue. I’ve been using Mint since Gloria came to town and instals of all iterations have been flawless until the “R” series where they have become increasingly more problematic. Is this an issue w/ the underlying ubuntu 14.4? I’m building a new rig for the Spring and want to install Mint 18 on it I was hoping to solve the problem before then. Have others encountered this problem? BTW Keep up the good work, now that she’s in the saddle Rosa is the best Mint yet!!! * Bug: Caps Lock gets “sticky” on the login screen. If your password has some capital letters you are doomed as the indicator enters in some sort of race condition and you can’t change it. Only way to be safe: Not pressing Caps Lock key. I use the default login screen. * Detail: The divisory dotted line in the Menu (between Places/System and Favorites) can’t be moved. When I personalize icons and fonts, part of the right side’s text gets hidden. Also, the text on top still reads “mintMenu.py”. * Bug: Caja file manager: If you set a texture as a background and then press F3, the new panel doesn’t refresh the texture but only the color. You have to click on the new panel so the texture gets rendered properly. * Bug: (the worst so far). Wireless connection keeps disconnecting too often. The only “workaround” is opening the console and then “sudo iwlist wlan0 scan” until it does again several random minutes later. Please note that I don’t have a Broadcom adapter but a Centrino Wireless-N 130. Also, this is not related with energy saving because happens anytime. * Bug: If you have a number of windows/apps opened so one of them gets totally covered by the others, pressing Alt-Tab not always brings that window to the front. Is a little bit sporadic and not so frequent but I saw that behavior several times. When that happens, doing Alt-Tab a second time on the offending windows/app will really bring it front. As usual, THANK YOU for all of your great work. Expect more feedback from me. Regards. I have tried to install it this week-end. Succeeded to enter my informations, do the partitioning. It begins to copy files, and then, the installation screen disappears and the install aborts. 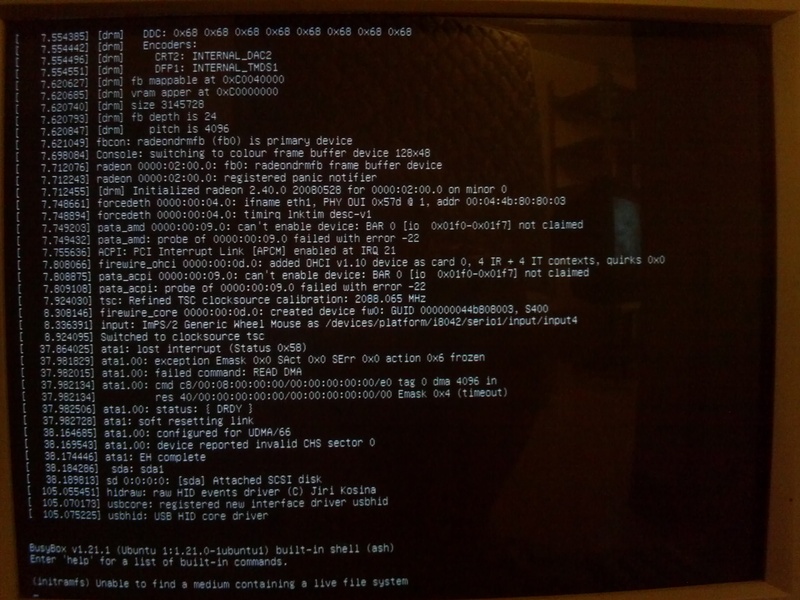 This old computer is able to run LMDE, LMDE2, LM 17.2. I noticed that Mozilla Thunderbird uses anywhere from 85 mb to 100 mb of ram/memory and this is idle. Is this a bug of excessive memory consumption? If so, where should I address or post this so it can be addressed? Dear Linux Mint, you have ruined me when it comes to Linux Distributions. Every time a new version of Ubuntu comes out, I foolishly install it,because Mint is still on Trusty, knowing full well that I will always come back to Linux Mint. I even tried Ubuntu Mate this time but sadly, LOL, I have come back once again. Even Linux Mint Trusty-Rosa runs circles around other distro’s. Great job guys and thank you so much for making such an awesome distro. Linux Mint is just so beautiful and organized. There has never been a program that I have installed that put me in dependency hell or given me any problems. You just can’t beat Linux Mint! You guys rock! Minitube is not working in 17.3 MATE, with errors. Did a trial install on a ASUS VM42 – Loaded very fast. Good job you have done. I am downloading it to try in a old pc. Thanks in advance. I am unable to successfully download the MATE 64-bit ISO. I have tried three different European download locations with two different browsers. All fail at the end of the download with what I assume is a checksum error. Note : The MATE 32-bit ISO downloads fine. – Upgrade your default Kernel from 3.x to 4.x. It’s in the repositories. – Conect your ASUS with the cable and visit the Driver Manager in Control Center because very often Linux itself will tell you that you need propietary drivers and install it for you. When you make available to upgrade from version 17.2 ? I too frequently have problems with direct downloads. Try using the Torrent. For me it always works. Awesome! I will wait for the new upgrade manager! My very old laptop (2006 Fujitsu Siemens Lifebook 1410) has been “revived” by Linux :)! Another flawless upgrade! Thanks to the team. i installed Linux Mint 17.3 Cinnamon 32 bit on my Netbook Samsung N130. I was never sure on the reasoning behind not installing the recommended kernel by default. Why is that? I just tried upgrade system from 17 MATE to 17.3 MATE several times. and, I met compiz issue. it means that it doesn’t have compizconfig files either. thus, compiz doesn’t work propely in upgraded Rosa. and need to do whole new setup at the compizconfig-settings-manager. Please, check it out and fix it. When will the upgrade for 17.2 be released? Just got the upgrade in update manager. Had a smooth upgrade to 17.3 and everything worked great. Thanks Clem and the team. Reminder: To upgrade from Linux Mint 17, 17.1 or 17.2, please wait for a few days while we release a new version of the Update Manager to you. In the meantime, you do not need to download or to reinstall anything. We’ll make announcements next week when this is ready. Checked MD5 and tried to install twice, same error. I also had some “fun” caused of that Compiz settings had moved to another place. When I just tried to switch on Compiz in my upgraded 17.3, the whole screen started flashing so I had to use the main switch to stop it. But after I had restarted and set the parameters in “Compiz Configuration Settings Manager” correct again, it worked very nice. Thanks Clem and the team for a good work! Flawless upgrade. Thanks to Clem & team. Did a clean 64-bit install on a Dell Optiplex 790 (core i3) and it is just awesome (dual boot with Windows 7). Everything seems fine after a few days, I have to add some programs and customize it, but so far it looks just perfect. I am going to move everything to Linux Mint and keep Windows 7 for a few programs that don’t work in Linux, but expect to use Windows less and less. Thank you for all you do and for bringing us freedom from MS! I came here looking to rescue my old Windows XP computers, but have found that Linux Mint is not just a great replacement for XP, it is a great replacement (or at least companion in dual-boot) to any Windows product. I just made the upgrade from 17.2, in the update manager. The only issue I saw was that I had to manually fix the grub menu by using the commands “sudo update-grub”. This is a DELL Inspiron Intel® Core™ i5-4460 CPU @ 3.20GHz × 4 with 2 1TB disks. The first disk is Windows 10. The second disk is Linux Mint MATE. I run this with UEFI boot and Secure boot on. The Linux disk was encrypted by the installer at installation of version 17.0. This is the third update using the update manager. This seems to be the way to go. It would be nice if I could use the update manager again, when we update to version 18 next year! Will that be possible? Hi, I found issue with mintmenu (5.6.5). When I set mintmenu as transparent, I see it transparent only first time after boot. When I open second time and next mintmenu is not transparent. I love linux, but you can achieve that my machine run much more speed. And it have ten years. Thanks. Updating from 17.2 freezed during packages installation for no reason. Had to hard reboot and after that couldn’t get a session anymore. Not impossible to fix of course but was easier to install system again from ISO. Sort of things that make people quit on Linux when inexperienced. Anyway, after installation, so far so good. Everything works well, stable. The new feature to choose a different window manager is great. This new approach from Mint developers to keep focusing on what matters and leave the core to LTS updates is not dissapointing at all. Mint was already great but now, they managed to bring it to another level. It’s just perfect. Congrats Clem! I upgrade from Mint MATE 17.2 64bit with success. After upgrade the COMPIZ is NOT COMPLETE and correct installed. the “compiz setting” menu is not available and the program ICON is not present. How I can solve the issue and obtain a complete “rosa” version?? OR I have to do more?? I have been testing this Mint Mate 64 bit version extensively and only have one problem that won’t go away. Whatever is installed as the new compiz does not get along well with Cairo-dock. i have tried everything I can think of and once I get compiz and emerald working all is great Until I run cairo-dock with fire, pulse, and the effects. Every single time without fail the system crashes and hangs up. No Cairo-dock, no crash. I am stuck with this new Hp Pavilion notebook with the ATI graphics card. Oh man, thanks for that tip! I’ve owned a laptop WITHOUT a ‘Caps Lock’ led indicator for 2.5 years now which has been a continuing source of annoyance, but NO MORE! T. Scott Barnes’ ‘Indicator for Lock Keys’ PPA (package name: ‘indicator-keylock’) is the solution to this issue and works perfectly for me in LM 17.3 MATE 64-bit. Thank you again for this tip! And I agree. This functionality should be an available option by default in LM regardless of DE. Another painless upgrade from 17.2 MATE 64-bit to 17.3. I included the suggested 3.19 kernel. Thanks!! One issue so far is that my first start of gparted resulted in it scanning all devices forever and never fully populating its GUI. Killing (evidently just the window) via the window X doesn’t remove gparted from the processes. The process can’t be killed via system monitor. Trying to start it from the menu brings up the authentication window, but filling in the root password does not lead to the GUI initializing. I haven’t tried more aggressive kill attempts. More on gparted. Rebooting and starting gparted in the menu resulted in the authentication window but no follow-up GUI. In this experiment, gparted did not even appear in system monitor as a process. Using synaptic, gparted was reinstalled. Results were the same as above. The upgrade was successful. I’m very happy. Though a small issue. Don’t know if it’s related to Mint or my computer. I was watching a video online and fullscreen. I never got a message saying the battery was low, and the computer didn’t hibernate. So it just stopped. Any advice to avoid a crash like that? The menu selection “disks” under Menu/Accessories also doesn’t start. @vgStef, you can check your Power Settings and choose to hibernate, shutdown or a warning message when battery low. Caja no longer sees the additional hard drives in the PC. How to preset a regional mirror for upgrade to Linux Mint 17.3? I have difficulties accessing packages.linuxmint.com and therefore I use a different mirror server in my region. 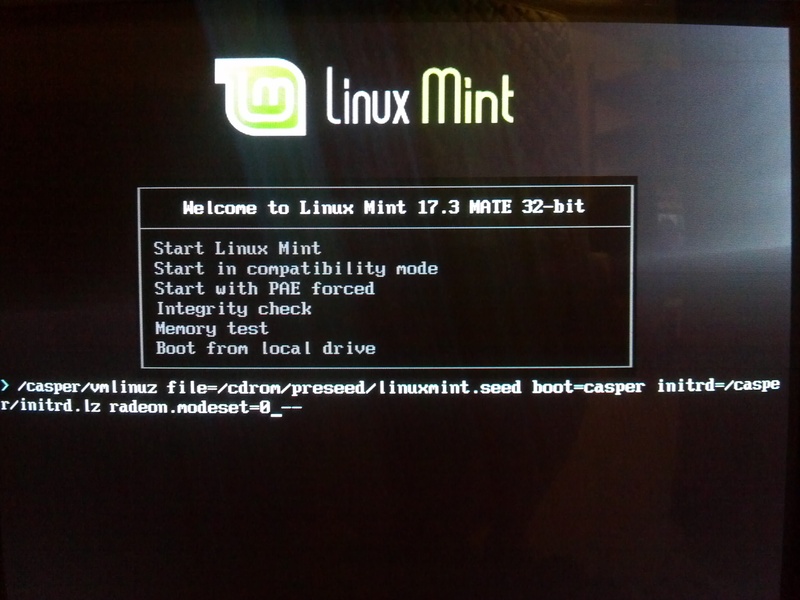 This usually works well, but when trying to upgrade to Linux Mint 17.3 using Update Manager’s function “Upgrade to Linux Mint 17.3 Rosa”, the mirror is reset to packages.linuxmint.com and the update fails due to download problems, and probably related hashsum mismatch errors. Is there any way to preset a different, regional mirror for the upgrade to 17.3? 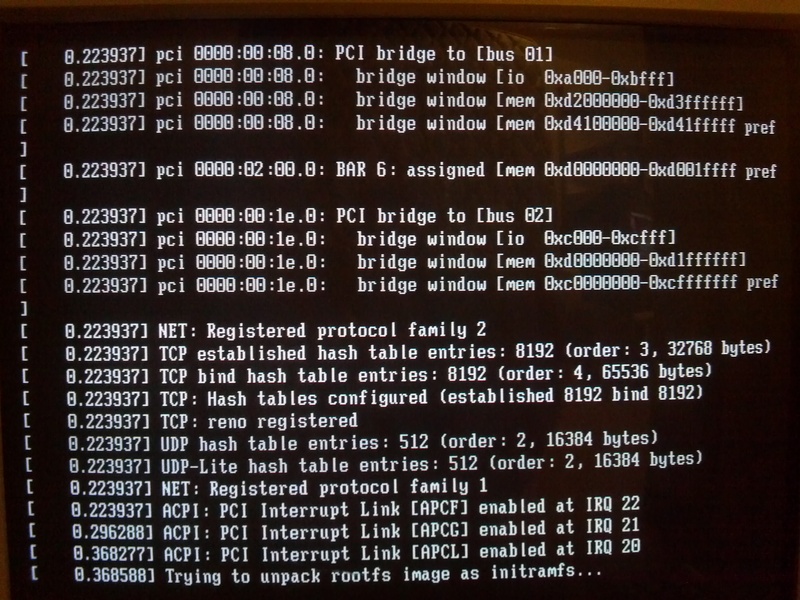 Evidently upgrading to kernel 3.19 from a Mint 17.3 upgrade is a bridge too far for my system. Previous kernel 3.16-38 seems to function normally. just guessing but it apparently sets the region based on presumed location rather than testing the actual speed. in my case the defaults are much faster. alternatively clicking on the “select a mirror” button and waiting for it to actually Check the speed is much better (it actually works). 2 weeks ago suddenly unison synchronisation stopped working in 17.2. Now it is working again with the newest kernel version. Good work, no problems at all. @jazzi : I know. It was already configured for that. That’s why mentioned it here as an issue (#76). Mint never hibernated nor gave warning of low battery. Could it be related to the full screen video playing? (I think the screensaver is now deactivated when watching videos). Why do we have to wait 10 seconds to login on mint 17.3 live session? No “rescue” option when alternative window manager (e.g. compiz) does not work..
Not a new, but still a serious problem: Installed Mint 17.3 on an older machine, switched to compiz (been using it for years on all my PCs), and got a black screen with only cursor 😉 -> compiz doesn’t work on this graphics card. So now, I have no way of switching it back to Marco, wm-recovery needs X11 display, and even firing up X with “startx” an issueing wm-recoverx did not save me..
–> WM Switcher needs a failsafe-countdown like resolution switcher has! Guess what. Mint Menu is not highlighting Places, System and All the apps if you use the arrows keys instead of mouse. First I though it was not working at all but then tried pressing Enter when highlight disappeared and realized it is there, only that not visible. try using the Menu Bar instead. just “add to panel” and give it a try… it is the Traditional old school Gnome 2 style, I much prefer it… easy to configure just as you like it. If i have 128 MB (video) can i use this Linux ??? As was to be expected, the boot situation of this release compared to the previous beta hasn’t changed for my Athlon XP nForce2 Ultra 400 boxes with AMD Radeon RV350, R420 AGP. Hopefully the details shown there can shed some light on what is happening here, so that it can be fixed soon. Got an update labeled “MintMenu”, and sure enough, after rebooting, the mintMenu.py caption is gone off the top of the main menu. A small detail, but it’s the attention to these details that makes Mint what it is. Thank you! If i have 128 MB on my display adapter can i use this Linux ??? If i have 128 MB on my display adapter , can i use this Linux ??? You gonna have to try, Alex. Reduce visuals to minimum and try. Can’t wait to try Linux Mint MATE. I have been a user of LM Cinnamon for quite some time but I always experience this screen tearing when playing videos (sometimes happens when playing Steam games). With Mate’s Compton, that supposedly fixed screen tearing issues, I might stay with this DE, if it actually fixed it. 42/43: Alex, Mint will work just fine with a graphics card or onboard graphics chip with 128MB. Actually, anything over 2MB should cope with 1024×768 resolution, the minimum for ‘comfortable’ use (e.g. not having to scroll left and right in a web browser to see the whole page). Are you planning on using Mint just as a ‘desktop OS’, or do you plan to try 3D gaming? If it’s the latter, sadly Linux driver support for 3D graphics trails behind that for Windows.